Looking for inspiration to take on your own cottage renovation project? 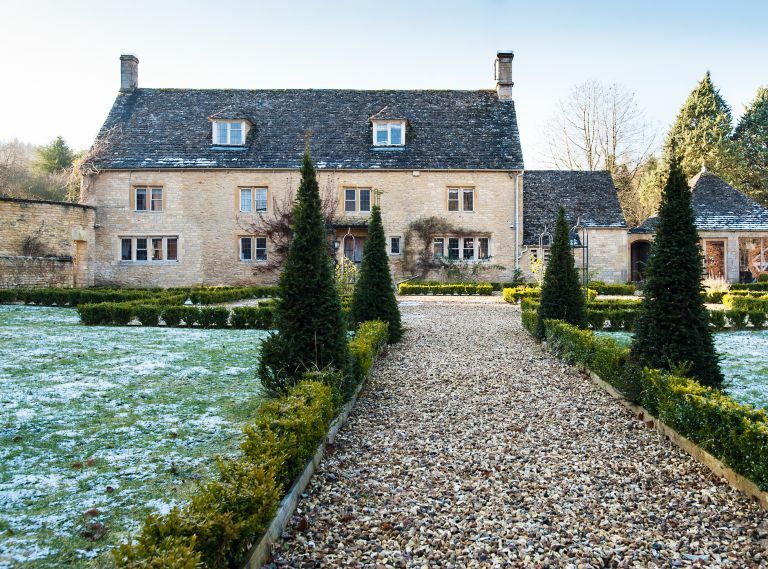 While many couples remember the very first time that they saw their home and fell in love with it, there was no such heart-stopping moment for Christian and Jessica Fleming at Blanche House, their Cotswold family home. The property was, nevertheless, responsible for fluttering hearts, because it brought Christian and Jessica together. Find out how they renovated it, then browse more of our real home transformations. Read our guide on renovating a house, too, for more guidance. The original four cottages, forming part of the Fleming family’s Lagor Farm Estate, were converted into one farmhouse by Christian’s parents, who moved into it in 1980 with Christian, then aged two. Whether they’re enjoying a game of croquet, playing with their dogs, riding a neighbour’s pony or entertaining, Christian and Jessica are still enjoying the beautiful and extensive garden. The house was an early inheritance from Christian’s father James Fleming, the novelist, who is a nephew of Bond creator Ian Fleming. Having almost made the birthday party deadline, entertaining has continued to be important for the couple, and for them it is a big part of having a lovely house in the country. ‘When friends arrive from London, within moments they’re unwinding, relaxed,’ says Jessica. At Christmas, Christian fells a tree from the estate woodland to bring home, while Jessica gathers holly and mistletoe from the garden to decorate pictures and arrange all over the house. There is still work to do at Blanche House, with plans to build a self-contained annexe at the top and extend Inigo’s room into the loft room. The boot room is already set to be extended, while the adjoining garage is being converted into an office for Christian’s company and the couple have just had a stone outbuilding constructed to house a biomass burner that will supply all their heating and hot water. Looking for more transformation inspiration?